Very Good. 0671244094 ALL BOOKS SHIPPED WITHIN 1 DAY OF PURCHASE! Truly one of the best books I've ever read. History, politics, corruption, power, all the ingredients are concerning modern man simply shown as the wheel of the lifestyle of mankind persists, often unpunished. Even Machiavelli would like to read this book. I haven't finished this quite yet, but it reads like a novel.... totally fascinating account of this amazing world changing project. David McCullough is one of the most talented writers alive! "The Path Between the Seas"
"The Path Between the Seas" by David McCullough. Like all of David McCullough's books, this is excellent. Interesting and well researched. 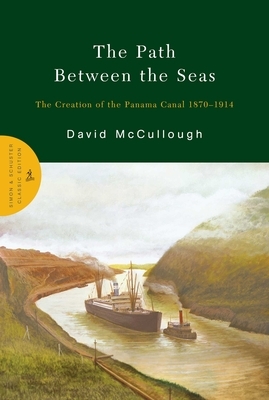 If you are planning on either sailing through the Panama Canal or visiting Panama, then this is a must read!